I’ve been on a kick lately to try and cook things out of my pantry staples. It’s not something I excel at. My cooking style is more like ‘oh, I have a whole pantry full of food? Well, I’d rather cook something that contains none of those ingredients, so perhaps I should go to the store’. The real problem is once I get something in mind to cook, I can’t shake it. Even if I don’t have any of the ingredients. I believe the incredible abundance of snow has been the main driving force behind creating meals out of the pantry – why put on 10 layers of clothes and lace up my snow boots if I can stay in my pjs and create something out of the food in my house? I’m trying, at least. A few days ago I was trying to think of something to make for lunches for the week. I was really craving Red Lentil Thai Chili from Post Punk Kitchen. The only problem? I didn’t have red any lentils or sweet potatoes (the other main ingredient in the chili). But I didn’t have This – And it just kept staring at me from the fridge. Every.Time.I.Opened.The.Door. 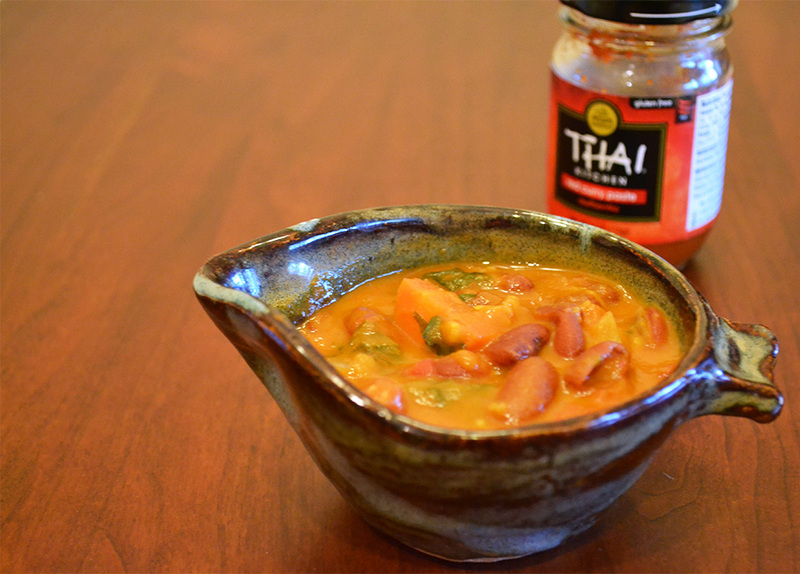 So I had to create something red-curry-worthy, out of my pantry items. This soup gets its ultra creamy consistency from the coconut milk which I’m obsessed with – if you haven’t caught on yet. 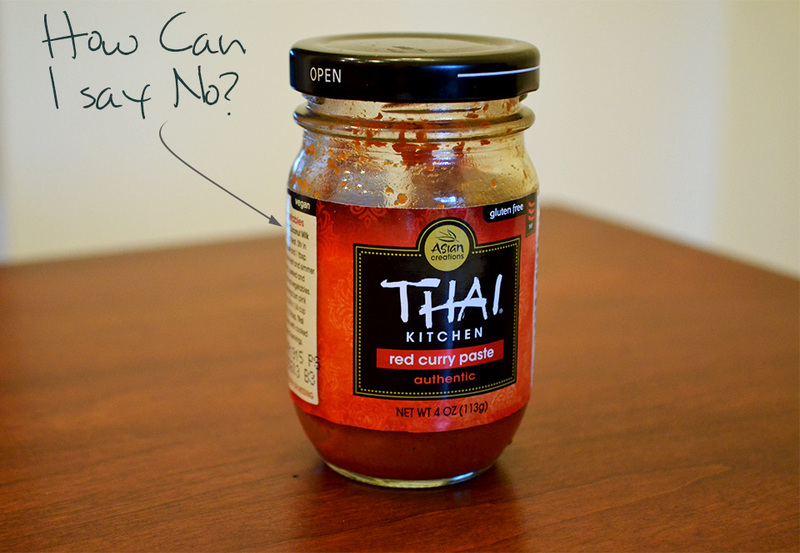 It also has a good bit of spice to it from the curry paste – but is in no way overwhelmingly spicy. So, let’s make it. Because…coconut milk. And red curry paste. 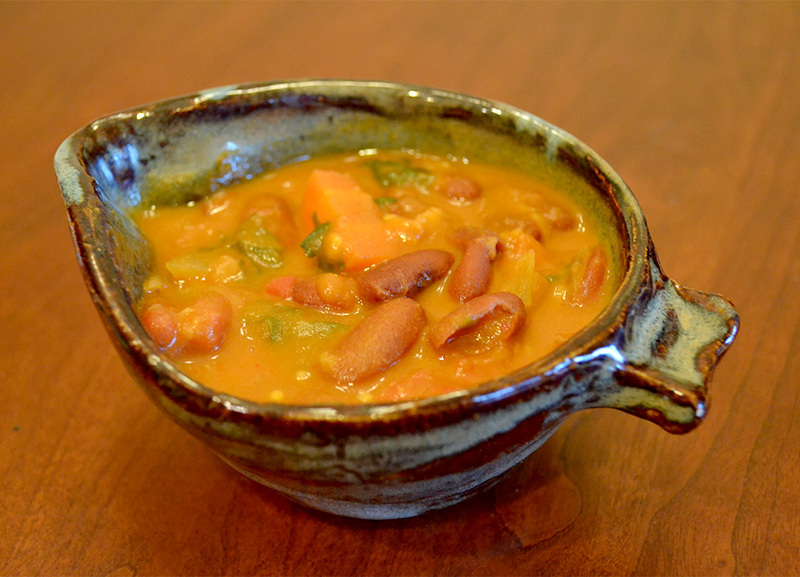 I featured this recipe in Rick Heller’s Wellness Weekend. You can find other awesome recipes by clicking here. 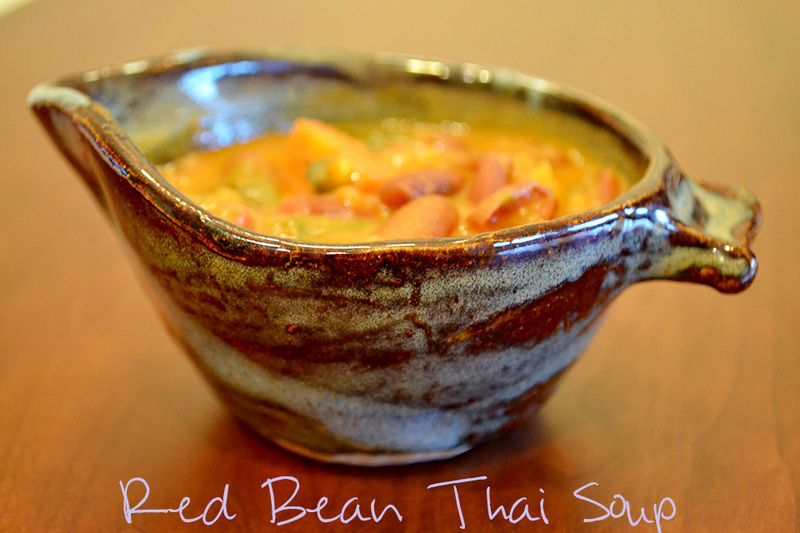 I featured this recipe in GFE’s gluten free Wednesday roundup. Click here to find other awesome GF recipes. UtOh. I think you’ve started to give in to the horrors of winter. Please seek help, right away. Talk about [produce] overbuying … Why is it that I apparently can’t crave what I bought but -need- to go out and buy more?! I’ve gotten better at using at least the vegetable portion of what I bought before re-stocking majorly but there are so many pantry items that have yet to be used. The curry sounds warming and comforting – perfect for those last cold days. And the bowl is so pretty, too. I really like those special individual pieces of dishware. Seriously! My pantry and my stomach need to match up more often!